The fine wines of Sardinia deserve to be recognized worldwide with over 7,000 hectares planted with vineyards and wine production that caters to all tastes. From the big reds such as Carignano in the South and Cannonau throughout Nuoro, to the light-skinned Vermentino white of Gallura in the North with its intense minerality. Archeological studies and research reveal that vine and wine were present in Sardinia 5,000 years ago dating back to the Nuraghi, the ancient people who inhabited the island. 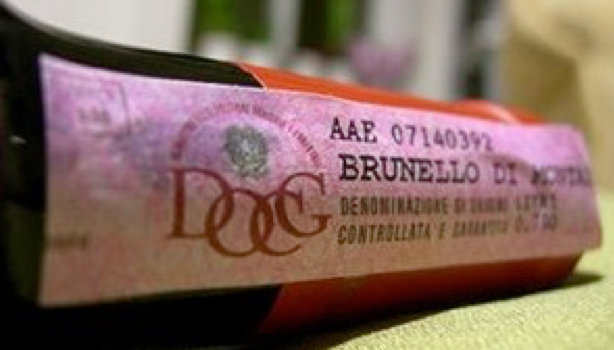 DOCG (Denominazione di Origine Controllata e Garantita) is the highest award of quality designated to Italian wines and superior to DOC wines. Denomination of Controlled and Guaranteed Origin is the English translation and means that the wine is produced under the strictest of rules, which reduce the allowable yield of grapes used during production and most importantly have to pass analysis and tasting by government-licensed personnel before bottling. The bottles are also sealed with a numbered governmental stamp across the cork. In the Northeastern province of Gallura you’ll find Vermentino at its best and the most famous of the wines of Sardinia. The salty wind and poor stony soils of granite produce an exceptional quality wine with DOCG certification. 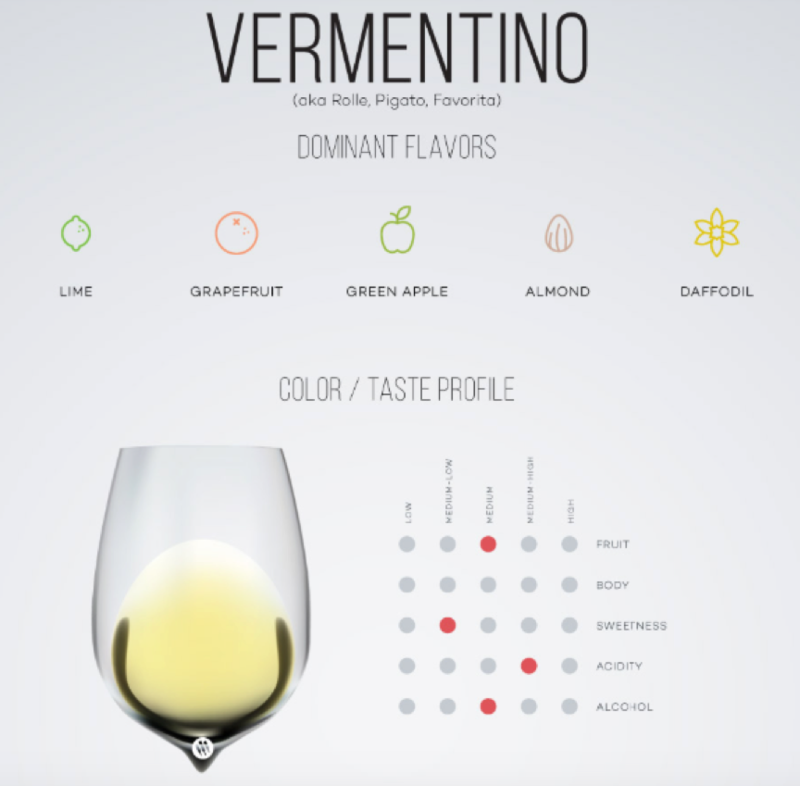 Vermentino di Gallura DOCG is required to be a minimum of 95% Vermentino grapes. Nearly half of all Vermentino wine is made in Sardinia, and this indigenous variety has been cultivated in Gallura since the 14th Century. It is a light-bodied wine that is deliciously complex in taste. The fact that it is so underrated throughout the world means you can find this high quality wine at almost bargain prices. As more and more people discover the fantastic wine of Sardinia, wine tourism continues to rise. One very well-appointed cellar is that of the vineyard, Vigne Surrau, which is the perfect place to enjoy Vermentino di Gallura D.O.C.G. This spectacular vineyard extends in to the eastern part of the Gallura. Here the vines are caressed by the clean mistral winds blowing in off the strait of Bonifacio and nourished by the granite sands of the Juannisolu and Caprichera hills. There are three Vermentino wines produced by the estate, which are perfect ambassadors of the fantastic Gallura land. This is the estates flagship Vermentino Di Gallura D.O.C.G Superiore from the Surrau vineyards. This exquisite wine is 100% Vermentino, made from a selection of the best grapes of the strongest vineyards within the Surrau valley. After a brief contact of the skins with the must, alcoholic fermentation takes place in stainless steel tanks. The optimum temperature for this is around 16-18°C, where it will develop for a few months in contact with its fine sediment (dead yeast cells, grapeseeds, stems, pulp and tartrates, (harmless tartaric acid crystals) during this fermentation process. The wine has a beautiful structure, straw in colour with greenish hues. On the nose their are notes of exotic fruits and a taste that reflects the Mediterranean vegetation. On the pallet this wine is soft with a persistent finish and a unique minerality. This is another 100% Vermentino di Gallura D.O.C.G wine produced by the estate from the grapes of the Chilvagghja vineyards in Arzachena. This wine is bottles young to keep the characteristic minerality - a direct result of weathered granite soil nourishing it’s vines. Alcoholic fermentation takes place in stainless steel tanks at 15-18° C. Similar to the Sciala this wine has a straw colour with greenish hues. Intense fruit is found on the nose with the minerals shining through. It’s intense, savoury and long lasting on the pallet. The third Vermentino Di Gallura D.O.C.G that Vinge Surrau produces is the Sciala late harvest. It is made from the same Grapes as the Sciala Superiore but harvested later and remains in contact with the skins for 12-24 hours at a controlled temperature below 10° C. The fermentation process takes place with the dead yeast cells, grapeseeds, stems, pulp and tartaric acid crystals, known as lees or bâtonnage). 50% of the fermentation takes place in large French oak barrels and 50% in cement vats with yeast present. The two halves are then blended in stainless Steel tanks and cement tanks for 6 months. Once complete the wine is left to rest in the bottle for 9 months. The Late Harvest looks a significantly darker straw yellow than its earlier harvested counterpart with distinctly golden hues. It has a long persistent finish on the pallet with exotic fruit aromas and mineral notes.